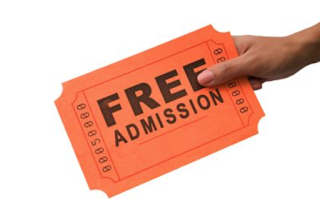 You Want "Free" Museums? Then Show Me The Money! Recently the Metropolitan Museum of Art announced it was changing its entrance fee policies. In an ideal world, every museum would be open to all, and not charge any admissions fees. I am with you there 100%. But how do we make that happen in a practical, and sustainable, way? In the real world, somebody (or some entity) pays for free admissions policies --- and that usually boils down to rich people and/or governments giving money to museums. That money almost always has various strings attached, and not every museum has access to the recurring rich people's money and/or government funding to make that happen. In places where most of the museums are "free" (like Washington D.C. or St. Louis, for example) taxes or voter-approved funding structures pave the way for "free" admission. Somebody is still paying to keep the museum running, but not through the direct contributions of visitors through the door. • How much would it actually cost to make up the "lost" admission revenue at The Met annually if there were no admission charge? Recent attendance figures at The Met topped 6.7 million visitors. So if you multiply that by the suggested admission fee of $25 you get a figure of over 167 million dollars annually. More than the 148 million dollars annual budget of the National Endowment of the Arts. For just one museum! And that doesn't even take into account the Association of Art Museum Directors 2016 report findings that show the actual average cost of serving art museum visitors is closer to $55 per person. So museums are already subsidizing the costs of visitation in most cases. So while I understand, on an emotional level, the pissed-off people shouting slogans or comparing The Met to Marie Antoinette on the Web, I'm afraid that alone isn't going to change the crappy, unsustainable business models of cultural institutions. Those sorts of efforts might not provide the noisy, immediate gratification of social media posts about free admission policies but I think they can create longer-term impacts for both our museums and our communities. What do you think? Let us know in the "Comments" section below.